Frédéric Malle Carnal Flower explores the sensuality of tuberose rendering white blossoms both as if bathed in the sunlight and touched by the evening shadows. In the Victorian language of flowers, tuberose signified dangerous pleasures, while in India young girls were warned against inhaling its aphrodisiac scent after dark, lest it lead them into trouble. Yet, before the composition has a chance to assume the Fracas-like buttery character, an orange blossom tones down the intensity. Carnal Flower unfolds like a roll of raw silk, warm and smooth, with the coconut lending a milky sweetness to the sumptuous flowers. The fruity notes are present merely as delicate sweet accents, without a tendency to dominate. Carnal Flower’s creator, Dominique Ropion, has composed some of the most fascinating floral fragrances, such as Une Fleur de Cassie, Givenchy Ysatis, and Givenchy Amarige. Carnal Flower is likewise interesting in its ability to weave notes into a rich, yet soaring composition. While nevertheless opulent, as a proper tuberose should be, Carnal Flower does not end up as heavy and cloying, and its radiance is sustained even into the drydown. As compared to my beloved trio of tuberoses, radiant Caron Tubéreuse, shocking Serge Lutens Tubéreuse Criminelle and hypnotic Robert Piguet Fracas, Carnal Flower presents a perfect balance between opulence and elegance. It is more complex than Caron, yet no less sanguine. Its beautiful form includes both the sensual embrace of Serge Lutens and the narcotic richness of Fracas, yet it seems to be less challenging to appreciate. As for “Carnal Flower”… Juliet was certainly right when she said, “What’s in a name? That which we call a rose / By any other word would smell as sweet.” Still, it does not change the fact that in my mind the composition calls for a more poetic title. 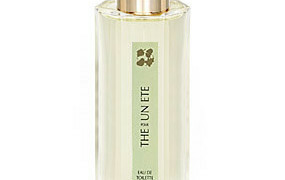 Notes include bergamot, melon, camphor, tuberose, ylang-ylang, jasmine, orange blossom, coconut, white musk. Although currently available only at Barney’s New York, the fragrance will soon be released in Frédéric Malle boutiques in Paris and eventually directly from Editions de Parfums. Katie: Judith – very funny about the word/name. Heh. Marina: I’ve been so curious about this one. Definitely a must try. I always say I don’t like tuberose, but out of your 3 favorites, I actually love 2 (TC and Fracas). BoisdeJasmin: Judith, I am laughing out loud over word/name. Some of these misconceptions are very difficult to root out, and I am guilty of caving in to them. Still, a very amusing point. parislondres: Lovely review dear V and I cannot wait to try this. I am not certain about the coconut bit though. I love coconut in food and hairoil but not in perfumes as it goes too sweet on me. Do you think I would love this (as you know how much I love tuberose)? BoisdeJasmin: M, I am with you! Anything that evokes a gilded quality is a good thing in my book. BoisdeJasmin: Dear N, I think that you will definitely find it enchanting. Coconut lends a certain soapy quality, however it seems to work really well with tuberose, even though I would have imagined the opposite. On the strip, it is sweeter, but on my skin it is less so. BoisdeJasmin: Dear N, oh, I now have to try layering! French Cancan sounds especially appealing, since I would love something to boost its floral sweetness. Katie: V – I haven’t tried the edp, only the edt version. Sometimes I find the lotions carry the full body of a scent better than an edt. But the Amarige Silk Body Veil is quite nearly singularly gardenia in character, I must admit. My older edt Amarige smells tuberosey, slightly smokey, and spicy on me. Not that the gardenia and orange blossom aren’t there, they are, but it’s not the only thing going on. Mine’s now several years old – perhaps this is a very recent reformulation? I haven’t really resniffed Amarige at the stores in a long while now. I just presumed no one would mess with such a classic. I need to make a mental note to sniff it at the counters again. Katie: AHA! I knew I had a recent sample of Amarige that I’d gotten with a gift with purchase from Givenchy around here! Anya: Dear V, thank you for the review. I have been waiting with great anticipation for this new release. Now I see “white musk” and that stops me in my tracks. Is is the same synth galaxolyde as found in Musc Ravageur? Similar to those in the Ormonde Jayne line? In which case, I will have to pass 🙁 That stuff ruins so many perfumes for me. PS So what’s with using the orchid pic for the illustration? I have tuberose pics galore I could share. BoisdeJasmin: Anya, oops, sorry to miss the musk question. I do not think it is not Galaxolide, or if it is there, its powdery qualities are not as evident. It is really a combination of different musks to my nose, but it does not have the same sharpness as the OJ musk bases. On the other hand, neither does the metallic, starched linen quality (a la Habanolide) dominate. julien: I have had the chance to test it in advance,thanks to a friend of mine who is journalist about perfumes. Well,it is a quite delicate scent of tubéreuse,something green at first,not really creamy,and it goes warming itself when it comes in your skin. Very beautiful,but truly not my taste. I prefer FRACAS and Tubéreuse Criminnelle. Quite a very beautiful tubéreuse yet. Veronica: V, tomorrow, I am going to get my first tuberose, Fracas. Thanks to your blog, I obtained a sample. It wasn’t love at first sight, but I didn’t want to stop sniffing it. About the third time I put it on, I began to make friends with it. After that, I craved it. I know that some feel they want to dress up when they wear Fracas. It’s a special scent. But for me, it’s different. I feel very comfortable wearing Fracas (albeit a few drops) while I’m wearing my uniform. (I’m in the armed forces.) It may seem like a great clash, but I feel it is a necessity. I’ve just really begun to pursue finding especially beautiful fragrances, and until Fracas, I had never found a flower that I wanted to wear; one that worked for me. BoisdeJasmin: Julien, your impressions are similar to mine. It is nowhere near Fracas level of richness. The green quality really does tone it down. I suppose that if one likes very creamy and luxuriously sweet tuberoses, Carnal Flower is probably not the one. YES,i am still addicted to Tubéreuse criminnelle,even though i prefer FRACAS or Tubéreuse from l’artisan parfumeur. I truly adore tubéreuses but strong ones at least(which in fact includes richness and being creamy in general). I guess my nose is accurated enough to recognize CARNAL FLOWER is beautiful but my tastes are really different for the reason i don’t like green scents. In addition to that,my skin is very hard on perfumes:they don’t last for me ot get very sweet…samsara in edp is just a little bit of santal on me,imagine! BoisdeJasmin: Veronica, I am so glad to hear this! It is a quintessentially elegant fragrance, and I also often wear it with jeans and other casual outfits. I feel that it dresses me up. I love how you described it as a red oasis. The vision that is painted is quite special. BoisdeJasmin: Julien, you just reminded me of another tuberose with coconut–L’Artisan Tubéreuse. I really enjoy this fragrance, although there is a sharp elment in it initially. Nick: Wonderful review. Sometimes the most carnal scents (the tuberose’s effects on men and women are extraordinary) are better wrapped in more elegant names. julien: Yes i know MPG scent. It is a quite rather good tubéreuse indeed. Truly,i like it more than the MALLE one. Yes it is green,but not a hard green,something i should call more fresh than green. I think the MPG one is not famous and it is a pity because they have great scents and this one is great too. A kind of tubéreuse butter,yes,after the “fresh and green” part. In fact,even more original than FRACAS or l’Artisan parfumeur. Talking about Tubéreuse,there are also Tubéreuse Indiana from CREED which is somptuous,an oriental Tubéreuse,sweet and almost gourmand. MAHORA,a very luminous and joyous tubéreuse. For Nick,i have read somewhere that MALLE wanted this name because it was a reminder of a movie or something like that to him. I don’t like this name too…i mean,i think UNE FLEUR DE CASSIE is more carnal than the Tubéreuse for it swallows every kind of flower scents categories. Well,to my nose,they absolutely have nothing to compare with. One,CREED,is oriental:vanilla and amber gris in the background,a pure joyous diva scent. The other one,MALLE,is frsh and green,without sillage,a tubéreuse very pure in skin,getting warm in the skin but just a little. Nothing oriental,maybe just a bit musky. For my tastes,TUBEREUSE INDIANA is better,yet less subtle. I mean,CREED is more a young and happy woman,seductive and open minded. CARNAL FLOWER is more “MADAME” for me,elegant and cold. julien: Well,with time i try not to collect,but to only wear perfumes i adore. Everyone has a personal way to live his or her passion. julien: Oh,no problem,i won’t ever judge anyone about it. I began a collection,but then i thought it was a waste of time and money if it is only about wearing a few. So i have about 10 or 15 perfumes,but i really adore them. So i understand very well the will to collect. julien: To be honest,i prefer sometimes not test beautiful scents for the reason i know i could fall in love with them lol. No,it’s just that i am busy at the time and i never went to HERMES to test all the exclusives. I just had the pleasure of smelling the great ambre Narguilé from a decant a friend sent me. In addition to that,i know my tastes,except tubéreuse or a chypre like Mitsouko,i need amber in my fragances or it has to be warm…moreover my poor skin is too hard on perfumes,they don’t last at all. Just imagine,today i had to put three times in the day OPIUM in extrait to smell it all day long. The only perfume that lasts on me,even though it is edt, is ,by some way i will never understand,HABIT ROUGE from guerlain. Kisses dear,and christina is right,you tent all of us but it is always such a pleasure to read your posts. I prefer that than another addiction so let me tell you:”ENCORE!”. julien: I promise i will. Let’s test them first…i hope i could do so. Maybe shall we make one day a top ten list of what we wear and another one of what we want. Just a question…it is very cold now in France,and perfumes don’t last(well even though for those which used to last on me),does it happen the same for you?I mean,does the weather have an impact on the lasting power of your perfumes? julien: Ok…well,if you have a very sensitive and dry skin like mine,try TRIXERA from AVENE,without perfume and paraben. BoisdeJasmin: Julien, loved your descriptions and comparisons! I find Carnal Flower drier than MPG, so I understand your comparison. I do get plenty of sillage from Malle, however it is not nearly as strong as some other tuberose fragrances I mentioned. BoisdeJasmin: Christina, yes, I would agree with what Julien said. Tubereuse Indiana has lots of amber, and it is almost dark in comparison to Malle. Carnal Flower is much greener and lighter. If you like tuberose as much as I do, then you should test both. BoisdeJasmin: Christina, oh, I am sorry to be a bad influence. 🙂 I love scent, and if something is beautiful and moving, it is easy to find words to describe it. I have much more difficult time with things I like so-so. michelle: Am I the only one who likes the name Carnal Flower? For me it creates the anticipation that there may actually be a perfume that captures the deepest, most seductive qualities of flowers – the rich bloom before the fade. There is a bit of romance in the name. I guess I don’t think the word carnal is “dirty.” To me, it’s more of a highbrow word for things sexual, of the body, of the world. It denotes some of the more earthy, temporal qualities of life on the planet. I don’t even mind that the name is in English, rather than French. BoisdeJasmin: J, thank you very much. You are a sweetheart. 🙂 I cannot say that I have your problem with Opium. A mere drop lasts for ages on me, which is fine as I love the fragrance. I prefer it in the parfum though, because it seems to be softer and smoother. I need to revisit Habit Rouge. I have not tried it in a long time. I am also curious about the light version. Well, all in its due time. BoisdeJasmin: Oh, that is a great idea! I shall definitely implement it. BoisdeJasmin: Thank you for the recommendation. I love Avene products, and I shall look for this one. Evan: I was able to go to Barney’s last night and try Carnal Flower. Luckily Luis was at the helm at F. Malle, so we talked about it for a while (and also about the party for Malle last Wednesday). I sampled it on paper, on my hand and in one of the “booths” (which don’t do anything for me). I was also able to get a sample to take home. Apparently it’s been very popular; they immediately sold out of the stock that Malle brought with him to the party (in an old suitcase!) and they only have one tester in the shop. I would have to agree with your assessment, V. Your description is a very good one, though I was not prepared for how green/herbaceous it is! After the initial green/bergamot burst of the top notes, it seemed to go in the direction of Fracas (the pre-reformulated one) but, as you say, it takes a turn away from the buttery, rising intensity of Fracas, toward a softer, lighter development laced with other white flowers and the coconut and fruit juice quality is muted but still quite discernible. To me it smells like tuberose in the sunlight, with only the slight hint of what happens in darkness. This is a strangely spring-like tuberose that might appeal to people who think of tuberose as too serious and heady for anything but the most elegant and romantic of encounters. I was surprised at how light is was, and it did not seem to last on my skin, but was more tenacious on my shirt. As I often do when I am trying a new perfume, after I smelled my hand and a test paper for a while, I sprayed an excess of it on myself (7 sprays) so I could walk around in a cloud of it for a while. It definitely has “sillage”, though I could not properly gauge its intensity because of the surfeit of perfume I was wearing. After I left Barney’s I went to look again at the Fra Angelico exhibit at the Met and in the crowd I heard a young woman say “Something smells really good!” as I walked by her, so that was a good sign! I am much too decorous to say the words “carnal flower” to a complete stranger however, so the identity of the good smell will remain a mystery to her. BoisdeJasmin: Evan, oh, I am so glad to hear your impressions! I was hoping that you might stop by the counter. I was also quite shocked by the green notes of the top accord. It was like a burst, very strange at first. However, I grew to like it, as it presented something else from the usual tuberose interpretations. I did not get a feeling that it was an overly sensual flower either. It seems much more subdued, much more gentle, and much more elegant than the name suggests. Oh, I am testing vintage Bandit today, and it is incredible. I still love the modern, but it seems so much more gentle in comparison. Those rough smoky notes are much more pronounced in the vintage. I do wonder if it has to do with evaporation over the years. BoisdeJasmin: Dear D, I am so glad to see you again! I was worried that your job was taking over everything. 🙂 At any rate, glad that everything is going well, and best of luck in your training. kyahgirl: what a great description V. Now I must try it. I’m not crazy for MPG Tuberose or T. Criminelle, too earthy. I do however love Tubereuse Indiana so I know its something worth checking! BoisdeJasmin: Wonderful! Please do, dear T! I always love reading your thoughts, and since we like many similar fragrances, I would be especially interested to hear your impressions of Carnal Flower. Tara: I very much agree with Carmencanada – I got a strong medicinal top note which persisted for quite some time, a strong green note, then got a lot of orange blossom, with only a slight hint of the melon. Drydown was drier and less sweet than Tubereuse Criminelle. This is a very sophisticated, dark tuberose, yet somehow more airy than TC. That said, it will not replace TC in my affections – I am addicted to the wintergreen top note and the sweet heady drydown of that scent. But this is definitely #2 in the tuberose pantheon for me. BoisdeJasmin: T, thank you for letting me know your impressions! Yes, that the exact reason why I like it–it has a dark heart, yet it is airy, suffused with light, rather than hiding in the shadows. Yet, I still do not find it particularly reminiscent of Tubereuse Criminelle, therefore I cannot say that I would pick one over another–they are just too different. I like both. Veronica: Oh my! I purchased a small bottle of the Fracas parfum, having sampled the edp. I enjoyed my sample so much that I thought the parfum would be pure magic. I gave my mother the choice of either parfum or edp, and after sniffing my parfum, she chose the edp. My nose is not trained in the slightest; I wish I could be specific about my impressions. The edp sample smelled of one substance to me. I knew that there were ingredients besides the tuberose, but to my nose, it was “seamless”. Does that make sense? The staying power of a single drop on my wrist was outstanding; a good 10 hrs. It didn’t seem to evolve, nor did it “fall apart” to something lesser; it remained true and simply faded. The juice in the sample was like a …..a bell. The drop broke the silence and I could return to the same, beautiful sound, again and again, even as the hours went by. The parfum on my skin does not have that beautiful peal; it does not stop time, and there is something in the background that is “fuzzy”. I wish I could describe this better. From the very beginning, the parfum is closer to my skin. Smelling “other things” is not necesarily bad, but the sample was magic, the parfum was not. The parfum on my skin does not have the staying power either. How strange! I played with my mother’s edp and it was not the same as the Fracas edp sample either. It is much closer, but the scent was not as true; as clear. It also changed. Sometimes a soapy smell would weave in and out. I plan on purchasing the edp, but all in all, I’m disappointed. BoisdeJasmin: Veronica, I would suggest experimenting further with the EDP, because that is what you seem to have liked at first. The parfum will not have the same effect, because the composition is different enough. Try dabbing the EDP, rather than spraying it from the bottle and see whether you will get the same effect. juliette: Thanks for the suggestions, perhaps I’m getting used to it and not knowingly re-applying. I did ask my co-worker if my perfume is too overpowering, but she said that it was very nice. That is a good sign. Do you think some of the perfume distributors on-line sell fake perfume? I ordered a bottle of Fracas at 1’st Perfume, and sometimes wonder if it may not be authentic. How would I be able to tell? BoisdeJasmin: Juliette, I have never used 1’s Perfume services, so I cannot say anything about them. Parfum1 and Scentiments are very good and reliable. Carol Melancon: I bought this based on your excellent review and I couldn’t be more happy! It works wonderfully with my skin, and gives just the impression I was hoping for. I have found, over time, that my garden has evolved to include almost exclusively white flowers – jasmine, sweet olive, magnolia, gardenia, night-blooming jasmine, & paper whites. I just received some tuberose bulbs that I’m so excited to plant; and I have two Japanese cherry blossom trees that are doing quite well.